The image above, which goes back to the sixties, is the earliest personal fishing photograph that I have. As a family, we always used to go to Rhyl on holiday. Back then, the Denbighshire coastal town was a thriving vacation destination. We went on the train and I always took some fishing gear with me. One year my dad’s sister and her family came with us and those are my cousins there messing around. Kids, eh! 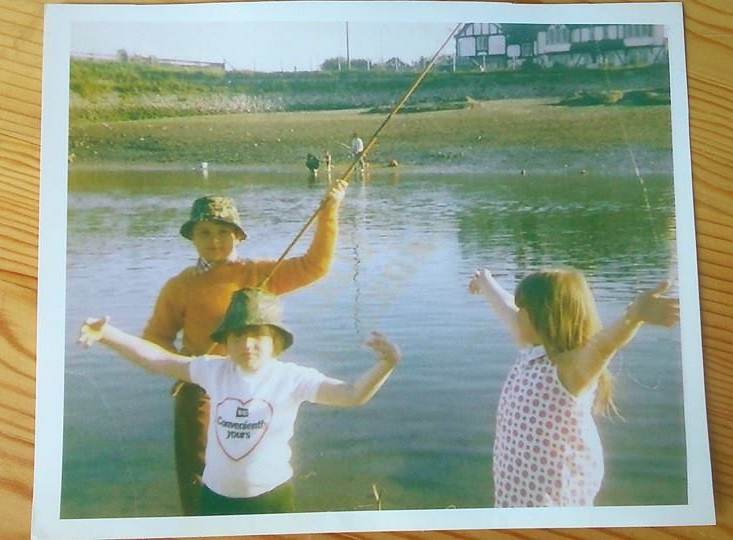 The photograph is just above the road bridge over the River Clwyd and it was the other side where I caught my first ever sea fish, a small flounder in the estuary at low tide. Back then there was a pub called The Schooner near the bridge and while my parents were there, I used to fish over the road in the estuary. Times were very different in those days. Great memories, and certainly the older that you get the more these become important. Remember, the things that you do today will be the thoughts of the future. Make wise decisions now and the memories will be happy ones.